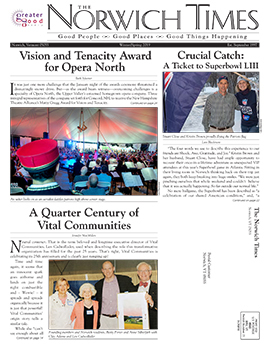 “I think of it as New Hampshire’s equivalent of the Tony awards,” says Opera North’s Director of Development (and former Norwich resident), Maria Laskaris. 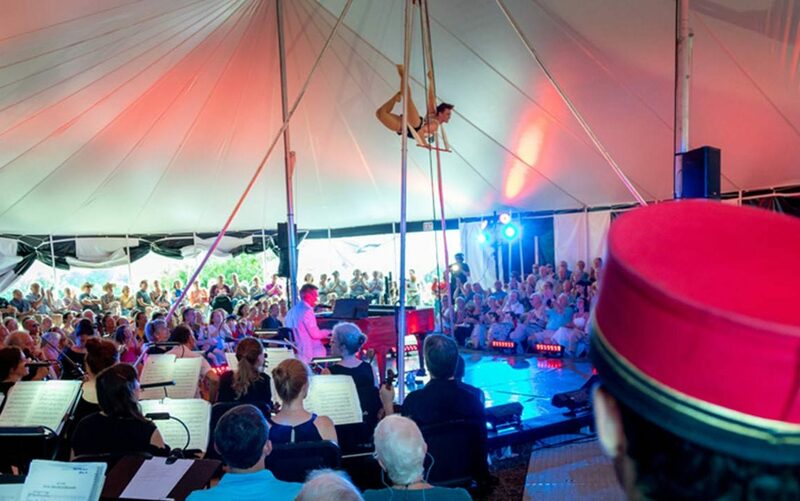 ON was being honored for its collaboration with the National Park Service (NPS) which resulted in last summer’s “Singers and Swingers,” a surprising blend of opera music and circus performance at the NPS site, Blow-Me-Down Farm. The property, with its beautiful views of water and mountains, has historic links to the nearby Augustus Saint-Gaudens National Historic Site. Told of the proposed blend of different arts, some people thought “Circus and opera, weird” and stayed home. Open-minded folks thought “Circus and opera, weird—let’s go find out what they’re up to.” This adventurous crowd was richly rewarded. 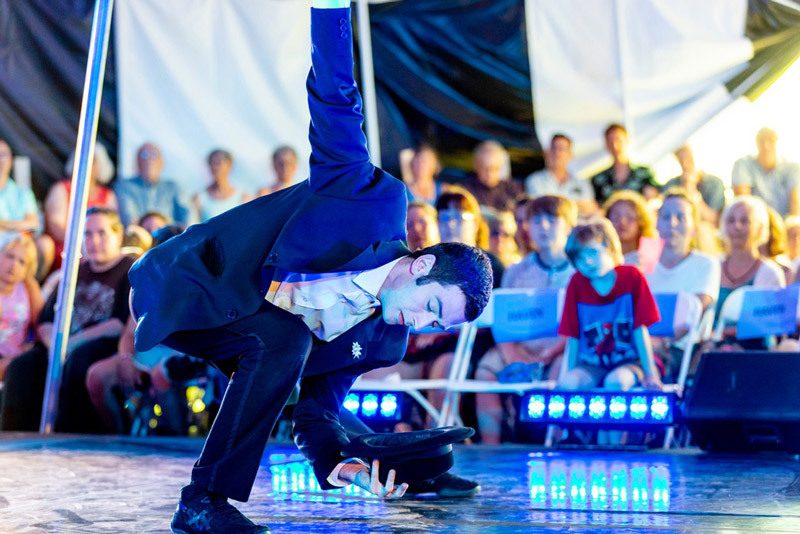 The unique blend of circus arts and opera music bent audience brains in a pleasing way, opening people to connections they had not felt before. “You think, come on—circus and opera! ?” says Jim Adler, now in Quechee after years in Norwich. Jim has been attending ON shows with his wife, Brooke, for over 20 years. “Then you have the excitement of seeing people pull off a major risk” as they display newly combined art forms. It was the partnership with the National Park Service that tipped the scales for ON to win the Tenacity award, says Maria. The NPS has been on the lookout for an arts organization that would work with them to create a national park for the arts, and ON is poised to be that partner. While the prospect of working with a government body might give pause, ON sees a wide-open field of possibilities. They’re prepared to accept NPS restrictions such as not changing the exterior of the site’s historic buildings. “We’re experimenting with different things,” says Maria. “Some things will go better in a traditional environment [like Lebanon Opera House], “but we’re trying new venues, and looking for new audiences.” Like many arts groups, ON presenters see their audience aging, and work to engage new fans. Exposing circus aficionados to opera music fits their bill precisely. ON has definitely embraced the vision thing. 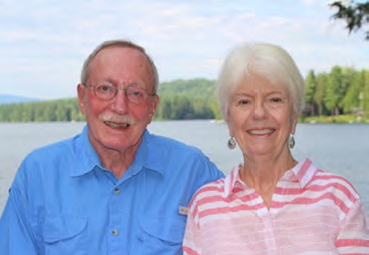 “We were dazzled when we first heard about the venture at Blow-Me-Down Farm,” says Jim Adler. “The singers and swingers idea seemed unlikely.” But the wonderful views, the fabulous property put the couple in a hopeful mood, and what they saw, Jim says, “was truly innovative. The intimate staging was thrilling, and somehow operatic music went well with circus acts. They really pulled it off wonderfully well. 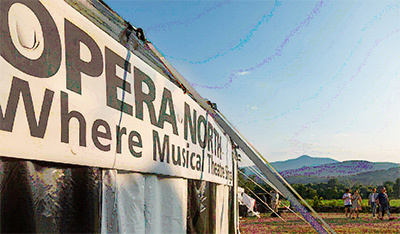 If they’re able to fulfill their dreams for Blow-Me-Down Farm it will be an outstanding place.” It looks as though Opera North has the tenacity to realize their vision. 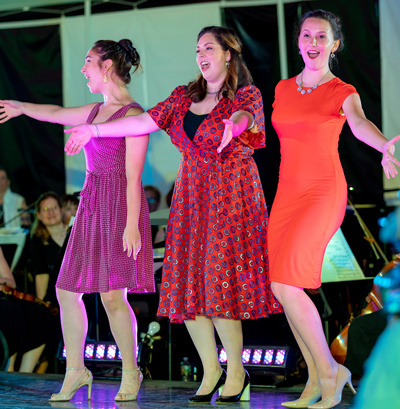 Next summer, July 12-14, will see five shows of “Hoedown at Blow-Me-Down,” with circus performers and American music by Aaron Copland, George Gershwin, and Richard Rodgers.